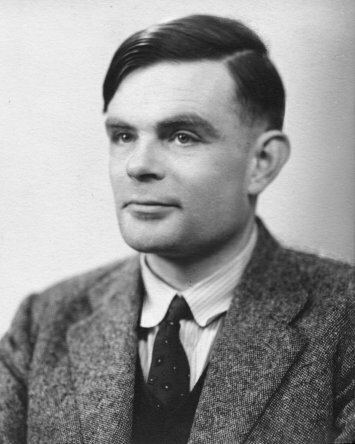 Today marks the centenary of Alan Turing's birth. There are a huge number of articles being published online to mark this occasion, which is amazing for a man whose achievements were overlooked or glossed over for so very many years. After some to-ing and fro-ing in Parliament, the Government worked under the royal prerogative of mercy. On 24 December 2013, the Queen signed a pardon for his conviction for gross indecency, with immediate effect. Making the announcement, Justice Secretary Chris Grayling said Turing deserved to be “remembered and recognised for his fantastic contribution to the war effort” and not for his criminal conviction. It has always been thought that Turing committed suicide by taking cyanide - a half eaten, apparently cyanide-laced apple was found at his bedside - but at a conference in Oxford on 23 June 2012, Turing expert Prof Jack Copeland questioned the evidence that was presented at the 1954 inquest.